Shida with Jausenge when he has the confidence or when he has “lost” it is the same. His scoring rate is very poor.Launda Magere’s scoring rate is lately poor,BBerry the same and they’re all experienced and “expensive” forwards.Head coach has final say on any player recruited and we are conceding more than we score. What that quack of a trainer wants to fight fans? CHUNGA, Koffi was deported for less.Bottom line we have an expensive “tourist” TB and equally expensive squad that is not worth kenyan shillings value paid to them. Football,for clubs of GMFC’s stature, is about winning trophies, which means winning matches, which means scoring more goals than you concede in a match. There is no award for most expensive head coach, trainer or footballer. Ze Maria may even win the league or shield by fluke but i don’t see him taking GMFC to at least the CAF group stages,i.e the next level. But maybe that’s what EC wants. Stop blatant lies bwana. You are above this. The league Table is on the right hand side of this page. I can read a goal difference of +4. the best team has +6. How is it now that Gor concede more goals than they score. Hate ni ya nini mtu wangu? In Kogallo I trust. Worried about nothing. For God and my beloved club – Kogallo. Gor Mahia 1 Western Stima 2, Gor Mahia 0 Mathare 1. Yes those are 2 very big lies as per your hateometer! Hope you are aware of the basics of competitive league football i.e that points are earned on the basis of the results of individual matches. A win in a match =3 points for the winner and no points for the loser. A win is where a team (the winner) scores more goals than the opponent (the loser) IN A PARTICULAR GAME. In a draw i.e where both teams score an equal number of goals each in a PARTICULAR GAME they are each awarded one point. Let me not make any assumptions again, where neither team scores it is still a draw. A match is between 2 teams, each team with 11 players…..
That is how Jaduali looks like: Out of the 8 games, Gor have won 5, scored 10 goals and conceded 6 goals. I beg to know where you are getting your statistics from koso rodho wach ema mitni. Why do you like sulking all the time. Year in year out, kulia lia kama mtoto mdogo. Gor ok ochuno. If it is too much for you to handle jaribu Posta Rangers. Mimi niko ndani ndani ndani ndani, tushinde, tushindwe. For ever Kogallo. For God and my beloved club -Kogallo. Sandro is threatening to fight fans ?This violent, irrespondible, deplorable racist man should have been deported last year. Secondly, expect less than 2000 fans at the stadium, this idea of nyayo stadium or derby so to speak, is dead and comes at a time when clubs in kenya are dead broke ! Finally, i suggest we try 4-2-3-1 against ingwe otherwise I see kichapo judging by sportpesa betting odds ! gilbert fiamenyo’s quality might just be the game decider . As we approach this derby my request to all of us, please lets avoid addressing our criticism to individual players. The damage we cause to these players confidence and the pressure is very big and they may not manage, some may never recover from such effects. Look at Timothy, a good striker while playing for other teams but because of our constant criticism, he can’t perform at Gor; look at Tuysenge, is he such a bad player? what of Black Berry? there was a time he almost lost it all because of our criticism. Leave these boys alone to play their game, cheer them up all the time and you will see the results. I forgot Timothy look at his goal scoring record when at GMFC and a mere 6 goals last year at P.Rangers and TB expected miracles. And even if these guys are not scoring wapi assists? Coaches are the main problem! Bro, read the above comment by jtg. You might be right in pointing individuals but it may end up shaking their confidence instead of strengthening it. @ja thur gi ji, you are right. some of the criticism of individual players should not be done by whoever cares for the team. Let’s point out the mistakes but refrain from using some words e.g. quack, useless, expensive for nothing. That does not help our course. All in all I don’t see us losing the game. I foresee a draw or a win for us. While we have all quality on our end , for ingwe all we need is to cut off supply to Flamenyo, and ensure that Katerega and Kiongera are contained. 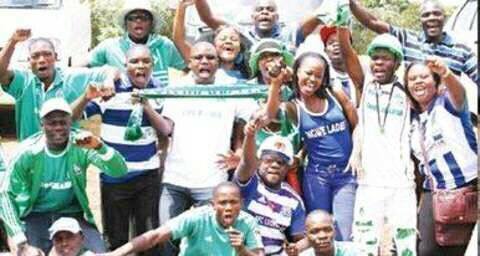 We ALL “CARE” for GMFC very much, infact fanatically. Some care that Gor Mahia that takes its rightfully place not only locally but also (the now off,now on) in regional and continental soccer, some care for “beautiful soccer bila goals/wins”, some care for EC as maybe they accrue “benefits”.Etc,etc,etc. SO ITS NOT IF YOU CARE BUT RATHER WHAT YOU CARE FOR AND WHATEVER A PERSON CARES FOR NI SHIDA YAKE so long as its within the law. Expensive for nothing is becoming an INDISUTABLE FACT bearing itself out in GMFC with every match played. Figures/statistic Do No Lie. May our prayers for a victory against efusi recieve more favour than theirs because sioni hii TB ikisaidia sana. I was in that group that barricaded the bus and gave Ze Maria a piece of our mind. Sandro tried his theatrics but realized we were not the Matasis and GMTS of this world that he usually plays around with and coiled his tail and boarded the bus. And we told Ze Maria that was just a kionjo on whwt he should expect if such flat performances continue!!! This stupidity of attacking team bus or even hurling insults to the players and the TB bench should stop forthwith. It is a surprise that we still have some people with stone age mentality at this time, who in his right oblongata think that GM cannot loose any match? If then, they should be declared champions. I feel that some fans are taking their jokes too far. We buoga gi thuol motho, mathare 0 bandari 1,,,,, so what? You need a binocular to see things in wider perspective. I think you can do better than this man!!!!!!!!!!! Thanks for the binoculars and I have now seen the bigger picture which is you did not realize the Mathare- Bandari news was not meant for you. Your myopia could never have let you appreciate its import. And binoculars are a perfect antidote for myopic reasoning!!! The mashemeji derby to be aired live on k24 according to a report on futaa.We are very happy about this at least we shall watch our boys battle against ogwang.Ber ndi thoo,onyonre anyona. Just like we have the right to attend matches and support the team we also have the right to criticize the team when it is performing dismally. Fontindonogono to wabiro tingo Mana gi lwedo achiel coz he is feather weight. No amount of keko will eliminate hooliganism as some holier than thou bloggers always refer to us.And no amount of keko will stop me from attending kogallo matches. Koro pirifege mag sideni nguona uru. Gor is now days pathetic, I really miss my former coach, this sijui Zemariah bure kabisa, for sure I miss coach, I remember your days I could not miss even a match, I just don’t enjoy Gor. Oooh Laa……la……..!! After all hullabaloo … Soccer is just a game of sports where we are suppose to support our team,criticize where necessary and more important socialize in this forum. 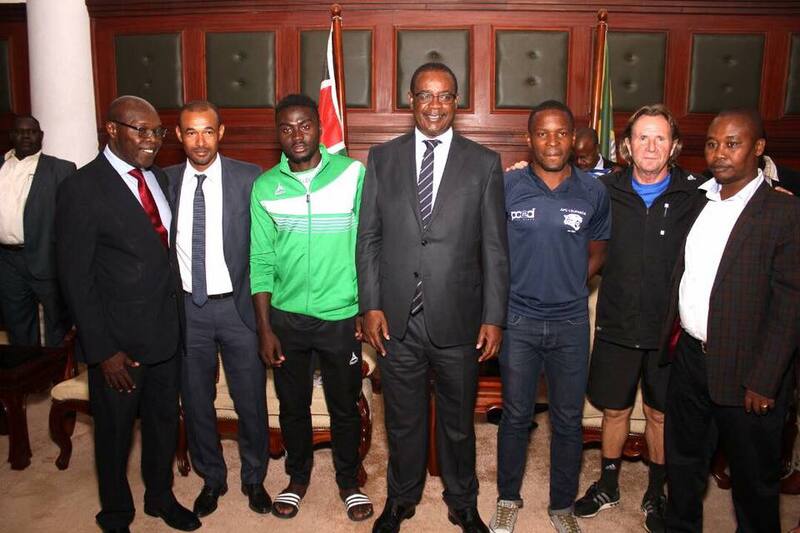 GOR OSIKO TO OK SIKIE…..Tafakarini hayo na muwe na usiku jema. @ owad gi miguna, I have nothing personal against any body or any blogger in here, I respect peoples opinions and their comprehensions regardless of what,,,,,,, but in as much as some fans might not be happy with the results, using uncouth means to display ones dissatisfaction is what I will not accept. WE need to lead by example by protesting in a civil way if things are not working right. It does not need ones intelligence to see that, the team is not that bad after all………..
Okeiii, you will not accept but you can’t change the mob psychology. My brother, it is an exercise in futility. Fans in other parts of the world have been seen using guns to express their anger. I am more than ready to see this drunkard in the name of Fontino. Onego wayienge matin he must know people. @Aperson, respect reserved, but could you tell me that whose safety is guaranteed incase some hooligans resort into using such kinds of tools to express their anger? I mean what sorts of massage are we sending out there for those who would like to watch GM matches!!!!!!!!!!! Yes we can differ in opinions but, that cannot be panacea for kind of creating camps as if this is against that. Or there is no fan that is more equal than others here,,,,,,,,,yani there is no, your so called pirifege. We all strive for the same purpose in GM don’t get worked up bro for nothing..
Hehehe, Miguna tialala. Pirifege koso gin nyapache oolowa ka . Lakini tuko nao mundu humundu. Aperson…round hii watakimbia mpaka wenye wanafikiria wao ni nyapache /prefege on this blogg. Though I have minimal faith in ze maria delivering trophies to GM,I think that lady has a loose,reckless tongue,a coach is not hired to win only derbies if he doesn’t he’s sucked. Too bad most sports media rely on her outbursts on Facebook as news!!! Nyangi is known for verbal diarrhea. I don’t listen to her. I am even wondering how such a person with intellectual disability could become an official at Gm. Today am in agreement with Nyangis oral diarrhoea. The coach must surely show us that he is worth coaching a team of Gors calibre. Am one of those who long lost faith in Zemaria based on his perfomance last season. Under normal circumstances, these are the times when I would post a “Tunayo kazi moja tu, tunayo kazi moja” comment. However, I am afraid I can’t post that comment and I wont post it for now. Instead, I will opine that “you reap what you sow”…….If you hire an astute tactician you get outstanding results, but if you settle for a clueless gambler for a tactician then you reap his output. Sometimes I wonder why people have to allow pressure to build up for them to perform. Where is their conscience when they tell us that they work best under pressure? For me and some friends,” bei ya unga, sukari ndio imenikatizia stadi bwana”. Tulikuwa na kazi moja tu, tulikuwa na kazi moja. Kazi ilikuwa ni kumpiga Ogwang’. Sababu ya kumpiga tulikuwa nalo, uwezo wa kumpiga tulikuwa nao na niya ya kumpiga tulikuwa nayo. Hongera kwa wachezaji. Kazi nzuri mno. Naomba tu mwe consistent na hizo wins.